Lake Point Resident Mark Steinagel asks a series of question during the town hall meeting presenting the report about Lake Point incorporation. Michael Donivan listens to the presentation of the Lake Point incorporation study on Tuesday night. Over sixty people showed up to the town hall meeting. Another meeting is slated to be held next week. 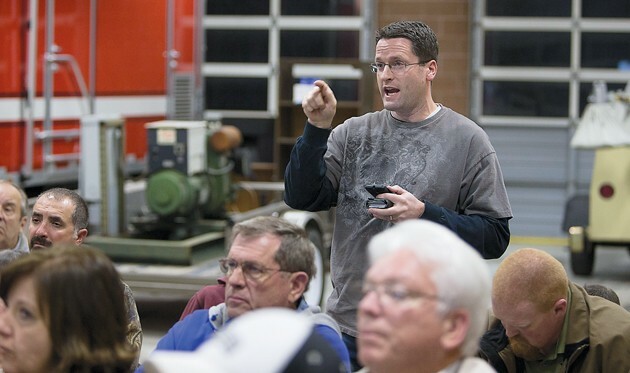 Ron Fryer listens to the presentation of the Lake Point incorporation study on Tuesday night. Over sixty people showed up to town hall meeting. Another meeting is slated to be held next week. That’s the message 60 Lake Point residents heard as they sat on folding chairs in the engine bays of the Lake Point fire station on Tuesday evening. The residents came to hear the results of an incorporation feasibility study completed by Zions Bank Public Finance. “The amount of revenue for the proposed city does not exceed the amount of expenses by more than 5 percent, so per state code, incorporation is feasible,” said Tenille Tingey, a financial analyst with Zions Bank Public Finance. State law requires the feasibility study to include a five-year projection of revenue and costs for the new city, including projections for increased costs caused by population growth and inflation. The expenses must assume the same level of government services the area currently receives, including water, sewer, law enforcement, fire protection, roads and public works, garbage collection, weeds and general government offices. However, Lake Point currently receives water and sewer service from the Lake Point Improvement District and fire protection from the North Tooele County Fire District. The study’s cost projections for the new city did not include changes in these services. 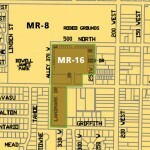 The study found that the proposed boundary would have a total taxable property value of $75 million. If incorporated in 2015, Lake Point City would generate around $320,000 in income from sales tax, gas tax, property tax, business licenses, motor vehicle revenue, and fines and forfeitures, according to Zions Bank. The city’s expenses for 2015 would be just below $500,000, Tingey said. To make up the difference, Lake Point City would have to levy a property tax with a rate of .002246 in 2015, according to the study. The new property tax for the owner of a $200,000 home in Lake Point City would be $247. However, the city property tax would replace the $94 paid by residents there for the county’s municipal services tax, making the net increase in property tax $153. Lake Point City would have an estimated population of 1,166 in a 9.9 square-mile area, giving it a population of 100 more people than Wendover, Utah in about the same area. The incorporation of Lake Point may result in a loss of up to $579,916 in revenue for Tooele County in property tax, sales tax, gas tax, and licenses and permits. Jim Willes, one of the sponsors of the petition to incorporate Lake Point, is pleased with the Zions Bank study. He thinks incorporation is worth the extra property tax. 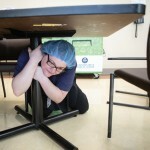 “The extra money is worth having control of our destiny and where we want to go and what we want to do,” Willes said. Lake Point resident Marylinn Sharp agrees with Willes. The original proposed boundaries for Lake Point City ran from the Interstate 80 exit at Lake Point to approximately one-quarter mile south of the stop light at the intersection of SR-36 and SR-138. It extended from the Union Pacific railroad on the east side of SR-36 to the railroad right-of-way on the north side of I-80. As a result of the study, the incorporation sponsors amended the boundaries to include land east of the railroad tracks so the second phase of the Saddleback development would be part of the city. 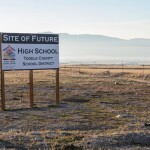 Tooele County approved the development agreement for Saddleback in 1998, but the developer only started work on the first phase of the project in August. Saddleback has the potential to add 2,500 homes with 10,000 residents to the Lake Point area, according to the Tooele County general plan. The agreement allows an average density of one house per acre on the 2,585 acres covered by the agreement, but allows for lots as small as 8,000-square-feet in exchange for preserving open space. To initiate the incorporation process, a group of at least five property owners had to gather signatures from owners of at least 10 percent of the land and 7 percent of the total value of all the land in the proposed new city. 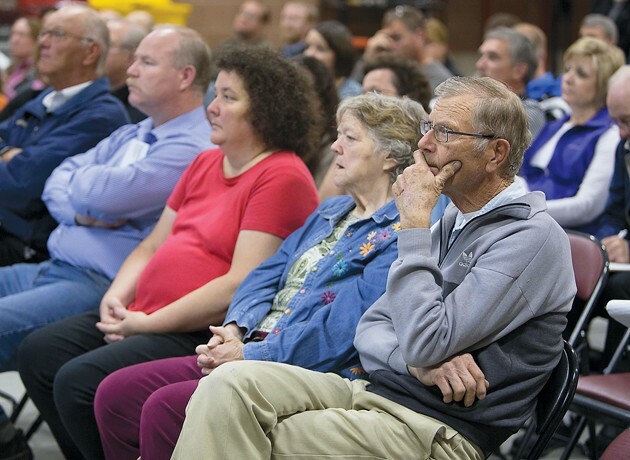 The Tooele County Commission received a petition for an incorporation feasibility study from Lake Point residents last May that met the legal requirements. Tuesday night’s meeting was one of two meetings required by state law to explain the results of the incorporation study to Lake Point residents. 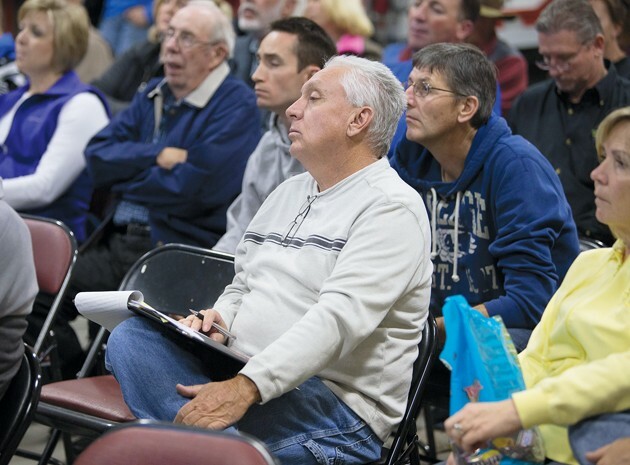 The next public meeting will be on Nov. 6 at 7 p.m. at the Comfort Inn and Suites in Lake Point. Following the two meetings, petitioners have one year to submit a petition to put incorporation on a ballot so residents of the proposed city can vote on incorporation. The petition must have the signatures of at least 10 percent of the total registered voters in the proposed new city, including 10 percent of the voters from 90 percent of the voting precincts. “We’ve got lots of time to hold more public meetings and have lots of discussion and dialogue about the study, the proposed city, form of government, elections and other issues before we vote on incorporation,” Willes said. A $153 dollar increase in taxes isn’t much, unless you don’t have it.